Fentanyl abuse is becoming a massive problem in America. In 2016, the number of overdoses caused by fentanyl rose 540% within the previous three years. This prescription opioid treats moderate to severe pain. Although effective, it has a potential for becoming highly addictive. Even when taken as prescribed, many patients can still get addicted to the medicine. Many drug addicts also come across fentanyl when doing illicit drugs. It’s not unusual for drug dealers to lace drugs like cocaine and heroin with fentanyl. If the dealers add too much fentanyl, it can lead to an overdose. 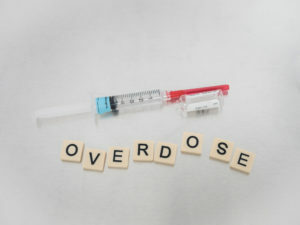 If not resulting in an overdose, the drug user can experience unbearable side effects, especially as the drug wears off. It’s a good idea to seek fentanyl addiction treatment if you’re addicted to fentanyl. The sooner you find treatment, the better. Fentanyl is a very dangerous drug, and fentanyl addicts often overdose. Here’s what you need to know about fentanyl abuse, especially withdrawals and overdose symptoms. So, let’s take a more in-depth look at America’s top killer, fentanyl. Fentanyl is a prescription opioid. It is fast-acting and 50 to 100 times more potent than morphine. It’s a Schedule II Controlled Substance due to its highly addictive potential. It’s relatively easy to develop a dependence on fentanyl. The body can also quickly build a tolerance to it. Fentanyl has many nicknames. It’s sold under the prescription brands Actiq®, Duragesic®, and Sublimaze®. Popular street names include Apache, China Girl, Dance Fever, Goodfella, Jackpot, Murder 8 and TNT. This drug comes in various forms. The forms of fentanyl include powder and tablets. The drug can also be spiked on blotter paper. It also comes as a fentanyl patch. The drug was first synthesized in the 1960s; however, it did not become a drug of choice until the 1990s. Once America started to get addicted to fentanyl, there was no turning back. 64,000 Americans died from a fentanyl overdose in 2016. Fentanyl is 50 times stronger than heroin, which is why it is often used as a substitute or mixed in with it. 468.4% more illicit drugs sampled in labs between 2013 and 2014 contained fentanyl. The states with the highest amount of fentanyl seizures include Ohio and Massachusetts. Unsurprisingly, these states also have the highest amount of fentanyl overdose deaths. Just micrograms of fentanyl can cause a fatal overdose. This is a substantially smaller amount than any other opioid. Fentanyl addiction does not discriminate. It affects everyone. One of the more notable fentanyl overdose cases involves music superstar, Prince. He died from a fentanyl overdose because he had taken pills that were laced with the deadly substance. His death drew a lot of attention to fentanyl overdoses. This is especially true since he was not aware of the fact that he was taking fentanyl. Many other celebrities have died from fentanyl since then. Statistics show that the numbers are only increasing. More and more drug addicts are being affected by fentanyl. Many don’t even realize that the fentanyl is in the illicit drugs that they are buying. Due to the potency of fentanyl, withdrawal symptoms will appear when attempting to quit. The drug withdrawal symptoms for taking fentanyl will usually kick in within 12 to 30 hours after drug abusers have received their last dose. They can be overbearing, and many drug abusers will relapse as a result. This is why drug rehab, particularly inpatient rehab, is highly recommended. In most cases, the withdrawal symptoms will start off relatively mild, but will begin to peak within a couple of days. Once the worst has come, the symptoms will start to subside. It usually takes about a weak before the physical symptoms become less overbearing. The psychological symptoms, like anxiety and cravings, can last for months, if not years. Some drug abusers may find that they crave the drug randomly even years after the last use. There are many different types of drugs and medicines that are used in addiction treatment. Each recovery center will offer different options. Some of the most common medication options include Vivitrol, methadone, and Suboxone. Each drug works differently. Methadone is a full agonist. It means that it works in a similar fashion to stronger opioids, like heroin. It attaches to the same receptors in the brain responsible for opioid addiction. Due to this reason, methadone has an addictive potential as well. While it can curb cravings, drug abusers can develop tolerance and dependence on the drug over time. In some instances, the drug abusers may develop a secondary addiction. This means that they will have to slowly taper off of the methadone to reach full sobriety. Healthcare providers often prescribe methadone in the form of a pill or tablet. Patients take the pills several times a day. The dose is designed to tailor to the patient’s needs and expectations. It’s also based off of a patient’s weight, height, age, among many other factors. Suboxone, on the other hand, is a partial agonist. While it works in a similar way to methadone, it has a “ceiling effect.” Once a specific dose has entered the body, an even larger dose won’t have any effect. This helps because many drug addicts have addictive personalities. If they could get addicted to Suboxone, they would. However, thanks to the “ceiling effect” of this prescription drug, it has a low addictive potential. It is almost impossible to get addicted to the drug. It’s equally as hard to build tolerance or dependence on it. Much like methadone, Suboxone comes in the form of a pill. It’s prescribed to patients several times a day. The dose is also slightly different based on the patient’s height, weight, age and more. As far as new advancements go, Vivitrol is one of the most popular medications available. This medicine is prescribed as a single shot. Patients get the shot every time around the same month. Unlike methadone and Suboxone, Vivitrol is not an agonist. It’s an antagonist, which means that it has a blocking effect. It prevents opioids from being able to attach to the receptors in the brain. It’s effective in fighting all types of opioid use disorders. Basically, drug addicts won’t get high even if they do take opioids or other drugs when on Vivitrol. This prevents them from even trying. Vivitrol is also unique in the sense that all patients receive the same dose. It does not need to be tailored to each patient. This makes the medicine a lot easier to administer. With that said, Vivitrol can only be given to patients once their system is free of alcohol and opioids. They must go through the recovery process at a treatment facility first. This drug is ideal for intensive outpatient programs. One of the deadliest overdoses involves fentanyl. Because this drug is so potent, the effects of fentanyl tend to kick in rather quickly. This opioid easily diffuses past the blood-brain barrier. Also, even a small dosage can have a huge effect. Studies show that a lethal dosage is about 2mg. Those who are actively taking fentanyl may be able to tolerate a larger dose. The symptoms are the same regardless of whether the overdose was caused by fentanyl patches or by snorting fentanyl. Since fentanyl is an opioid, the overdose symptoms look similar to heroin and oxycodone. Drug abusers struggling with an overdose will experience both cardiac and respiratory depression or failure. They usually look like they are just falling asleep. However, within minutes, they will stop breathing and will have lost consciousness. The best way to deal with an overdose is to call 9-1-1 immediately. If others act quickly enough, it may be possible to save that person’s life. Keep in mind that most drug abusers will sustain significant, and even permanent, damage if they recover. Administering opioid-reversing drugs like naloxone. These medications prevent opioid overdoses by attaching to the receptors. By attaching to the receptors, the opioids cannot have as large of an effect on the body. Naloxone has become extremely popular. Most first responders carry them. Calling 9-1-1 as soon as possible. The only people that can help a drug abuser who is overdosing are medical professionals. They will know what the best course of action is, and how to prevent further damage and injuries. When calling 9-1-1, provide them with as much information as possible. This includes the type of fentanyl analog taken and the dose taken. Keeping the drug addict in a recovery position to prevent them from choking on their own vomit. Those who are overdosing will often vomit. If they are lying on their back, they will choke on their own vomit. This is one of the easiest ways that an overdose can become deadly. Performing CPR whenever needed. Opioid users often lose consciousness and need more oxygen. CPR can oxygenate the drug abusers and prevent respiratory depression. This will also prevent cardiac depression and failure. Staying until help arrives. Stay by the affected individuals side until they receive help. Keep an eye on their condition to make sure that their condition does not worsen. After an overdosed individual recovers, stage an intervention to let them know how dangerous their addiction is. They need help from a treatment center, especially if they are dealing with a co-occurring disorder. 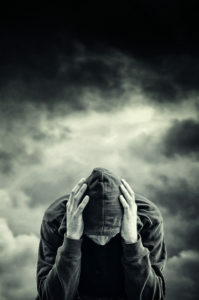 Fentanyl addiction treatment is needed to recover from substance abuse. Now is the time to step forward and take action. Out of all the opioids, fentanyl is one of the most dangerous drugs around. Its potency makes it easy to overdose. It’s equally as easy to get hooked on the drug, even when using it as prescribed. Many drug abusers who get hooked on fentanyl end up getting addicted to other illicit drugs. A further addiction can happen when the prescription runs out. If you or someone you know has a fentanyl addiction, get help as soon as possible. Sober living arrangements can be of great help, as well as both inpatient and outpatient treatment programs. Here, at New England Raw, we offer plenty of different resources and treatment therapies. If you need any help, don’t hesitate to reach out to us.